If you’re seeking to engage users in your WP Q&A forum while maintaining control of the discussion at the same time, CreativeMinds has the right solution for you! Our plug-in comes with several features and tools that notify contributors directly to their email when their questions get new responses. Using the pro edition’s advanced administrator settings, you can chose to auto-approve specific members, or have them pending in your mailbox until modification and approval has been made by your own staff. This will ensure that all responses appearing in the answer list page are 100% accurate, and that your primary intention is preserved in the content, before they get published. 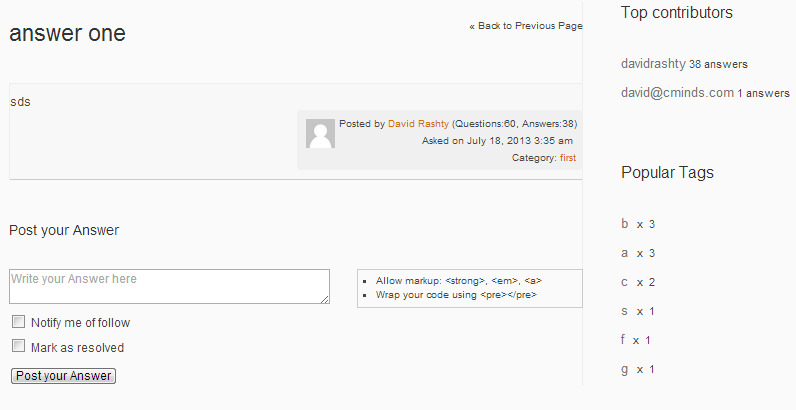 Responses are posted together in the answer list page, along with a user’s meta information. Users are allowed to vote on each answer (the voting mechanism can be controlled with cookies to prevent continuous votes). Users can then sort responses to their questions according to date, rating or category. 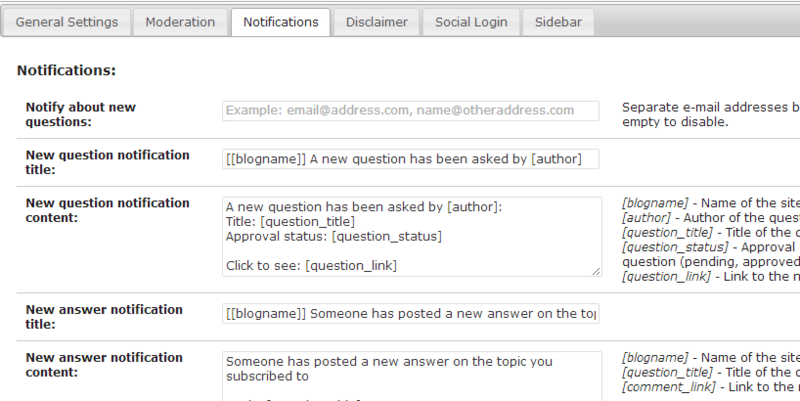 CM Answers Administrators or Moderators can receive an Email notification every time a new question gets posted. Plug-in settings allow you to define the admin’s email address, modify the title of the Email sent, and control the structure and content of the email. Users that submit inquiries or responses to your Q&A can follow their topic, or get notified about other followers by checking the “Notify me of follow” box when submitting their answer. Plug-in features include a section that allows the administrator to define whether all inquiries/responses are to be auto-approved or whether they will require admin approval before getting published. With our advanced moderation settings, you can define which users are allowed to post questions and answers automatically and without moderation, even when the moderation option is turned on.